As new technology finds its way into flagship phones, previously cutting-edge features trickle down to mid-range and eventually low-end devices. As an economic policy the efficacy of this approach is debatable; however, it works well enough when applied to technology. With each passing year, the quality and performance of lower-cost phones improves. Not that long ago, buying a low-end phone meant a compromised user experience, the result of corner cutting to reduce cost. But today it’s possible to get a very capable phone for less than ¥1300 (about $200 USD) that does not list frustration as its primary feature. The last phone we tested at this price point was the Huawei Honor 5X, and while not perfect, it left an overall positive impression. 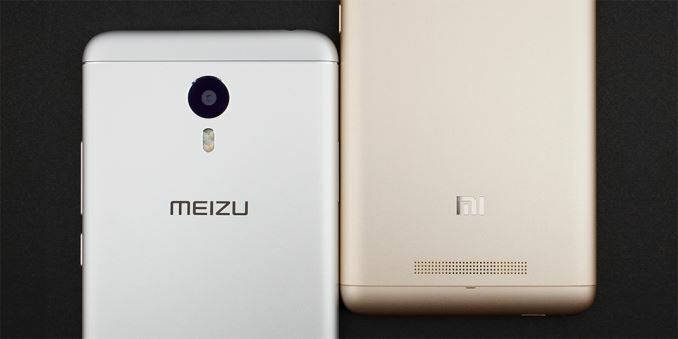 In this article, we’ll be examining two of its competitors: the Meizu M3 note and the Xiaomi Redmi Note 3. The similarities between these two phones extend beyond their “note” branding; they also share very similar hardware specifications and pricing, which is why we’re going to review them together. It will be interesting to see if these similarities translate to a similar user experience. Both phones come in two basic versions: one with 2GB of RAM and 16GB of internal storage and a slightly more expensive configuration that bumps RAM to 3GB and storage to 32GB. The base configuration is pretty typical for this category, and while 2GB of RAM should be enough to provide a decent multitasking experience, having only 16GB of storage is a bit restrictive. Thankfully, both phones support microSD cards for adding storage space. Other hardware similarities exist too, including a 5.5-inch 1080p IPS display, a 5MP front-facing camera, and a rear camera with phase detect autofocus (PDAF) and dual-tone LED flash. Both phones also support 802.11ac Wi-Fi, which is nice to see considering the Huawei Honor 5X only supports up to 802.11n and only with 2.4GHz channels, although neither includes NFC support. The Redmi Note 3 does have an FM radio and an infrared transmitter for TV remote duties, features the M3 note lacks. The adoption rate for fingerprint sensors has been incredibly quick. It has only been a couple of years since fingerprint sensors first appeared on flagship phones, but now it’s a near ubiquitous feature from flagships down to the upper low-end. The M3 note uses a capacitive touch-based fingerprint sensor based on Meizu’s mTouch 2.1 technology that is also found in the more expensive PRO 5 and PRO 6. The Redmi Note 3 also comes with a capacitive touch-based sensor on the back of the phone. Both phones unlock quickly, but I found the M3 note’s sensor to be far more reliable, especially at handling moisture and changes in temperature. At one point I could not even get the Redmi Note 3 to register a fingerprint during the enrollment process. One feature that helps set both of these phones apart from their peers is a large battery. While not swappable, the greater than 4000mAh battery in each phone should provide ample battery life, something we’ll quantify later in the review. The biggest difference between these two notes is the SoC each packs inside. The MediaTek Helio P10 in the M3 note uses an octa-core CPU with a performance and power-saving cluster of four Cortex-A53 cores each for a total of eight cores. The Snapdragon 650 in the Redmi Note 3 pairs its power-saving cluster of four A53 cores with two Cortex-A72 cores, which should give it a performance advantage in most applications. There’s also two different GPUs—an ARM Mali-T860MP2 for the M3 note and a Qualcomm Adreno 510 for the Redmi Note 3—which have their own relative strengths. Besides the different core configurations, each SoC also uses a different manufacturing process. Both are based on TSMC’s 28nm node, but the Snapdragon 650 uses 28nm HPm while the MediaTek Helio P10 uses the newer 28nm HPC+, which promises a significant reduction in leakage current relative to the HPm and HPC iterations that precede it. Implementation details, along with software optimizations and configuration settings, also play a significant role when it comes to SoC power and performance, so we’ll have to see what impact this has on battery life later in the review. Both SoCs include an integrated baseband processor. MediaTek’s Category 6 LTE modem offers up to 300 Mb/s down and 50 Mb/s up with 2x20 MHz carrier aggregation and 64-QAM on the downlink. Qualcomm’s X8 LTE modem in the Redmi Note 3’s Snapdragon 650 SoC offers the same downlink capability but boosts uplink speed to 100 Mb/s max by adding 2x20 MHz carrier aggregation (still 16-QAM). Both phones support Dual SIM Dual Standby (DSDS) operation, which means both SIMs are active for receiving calls or messages, but only one SIM can make a connection at a time because they share a single radio. 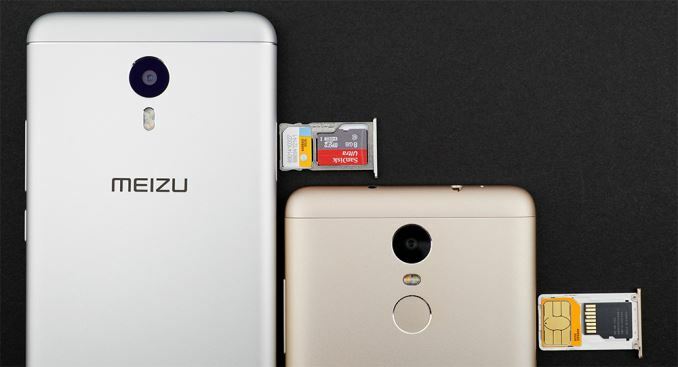 Each phone’s card tray has two slots: The M3 note can have two NanoSIM cards or one NanoSIM and one microSD card, while the Redmi Note 3 can use one MicroSIM and one NanoSIM or one MicroSIM and one microSD card. Frequency band support is tailored for the Asian and European markets, although neither phone supports B20 for the latter. There’s no support for North American LTE frequencies, limiting the phones to HSPA+ operation. 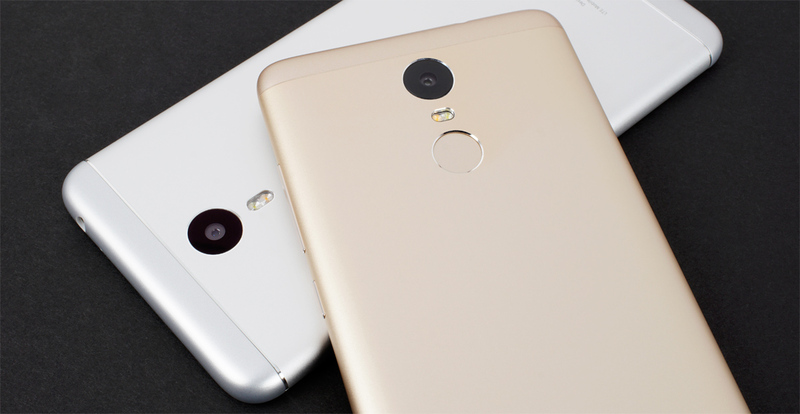 Why am I seeing the Redmi Note 3 coming with a MTK Helio X10?? The MTK X10 version supports FDD-LTE, TDD-LTE, TD-SCDMA, WCDMA and GSM bands. The Snapdragon version adds CDMA2000 and CDMA 1x support to that, mainly on China Telecom's CDMA network. Maybe Anandtech should amend the specs table to reflect this. You won't be able to use CDMA on North American networks though. The camera section was good, but I'd like to see one more comparison, if it's possible. In addition to higher noise and underexposure in the low light shots, some of the cameras exhibited very compressed dynamic range as a result of using higher ISOs. Colors are more desaturated, highlights are more easily blown out, and shadows are more crushed.